This chapter gives an explanation of the development of an ongoing multimedia gaming module. This was developed with the collaboration, input and evaluation of practitioners (teachers and speech and language therapists). The paper begins with a case study, explaining the use and monitoring of a non-computerised conventional therapy (speech, language and communication) with a representative group of five primary school-aged learners on the autistic spectrum in a representative special school. However, the chapter suggests that learners with autism and/or with other disabilities have a diverse variance in their speech, language and communication abilities and other needs and interests. It questions whether commercialised computer games are using a collaborative holistic approach with practitioners, taking into consideration each learner’s spectrum of needs. This emerged from a multimedia university module, which has been carried out over many years adopting an ongoing iterative design-for-one approach, taking specific learners requirements in relation to their therapeutic needs. 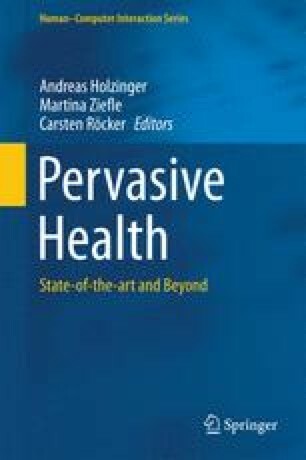 The chapter concludes by demonstrating the positivity of bringing society into academia with coursework based on real users with the focus on therapy and resulting in being beneficial to all the participants (students, practitioners and learners). This resulted in the development of a ‘Games for Learners with Autism and/or other Disabilities (GLAD)’ personalised, individualised software development company. Early Learning Site: Autism. Autism and PDD are Treatable http://aba.insightcommerce.net/contentbuilder/layout.php3?contentPath=content/o0/00p. Retrieved March 11, 2011. ESRC. (2010). Framework for Research Ethics (FRE) Economic and Social Research Council. Retrieved September 23, 2010, from http://www.esrc.ac.uk/_images/Framework_for_Research_Ethics_tcm8-4586.pdf, pp. 1–50.